Gold Coin With Every Booking..!! Exclusive Deals At Low Prices!!! Kolte Patil Western Avenue in Wakad, Pune by Kolte Patil Developers is a residential project.  The size of the Apartment ranges in between 61.0 sq.ft. 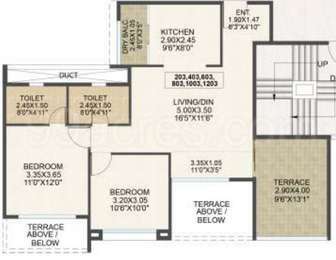 and 1450.0 sq.ft. The size of the Studio Apartment is 279.86 sq.ft..
Kolte Patil Western Avenue price ranges from 53.33 Lacs to 1.35 Cr. Kolte Patil Western Avenue offers facilities such as Gymnasium and Lift. It also has amenities like Basketball court, Golf course, Jogging track, Lawn tennis court and Swimming pool. This is a RERA registered project with registration number P52100000917. Bank loan approved from HDFC home loans, ICICI, State Bank of India and Punjab National Bank. The project is spread over a total area of 16 acres of land. Kolte Patil Western Avenue has a total of 14 towers. The construction is of 19 floors. Kolte Patil Western Avenue brochure is also available for easy reference. Pune is attracting buyers from all over the country giving the real estate market of the city a push. The city with attractive job opportunities especially in IT/ITES sector. Other than the job sector, the city is also attracting students for graduation or post-graduation courses. These factors have constantly pushed the realty of the city upwards. Pune has a mix of configurations to offer for every income group. This with other factors like the infrastructure developments leading to smooth connectivity are responsible for the growth of the city. Where is Kolte Patil Western Avenue located? The project is located in Wakad, Pune. 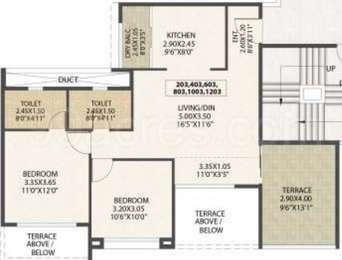 What is available flat size in Kolte Patil Western Avenue? Flat sizes in the project range from 60.0 sqft to 1160.0 sqft. What is 1 bedroom size in Kolte Patil Western Avenue? The size of a 1BHK unit in the project is 733.0 sqft. What is the area of 2 bhk in Kolte Patil Western Avenue? The size of a 2BHK unit in the project ranges from 60.0 sqft to 877.0 sqft. What is size of 3 bhk in Kolte Patil Western Avenue? 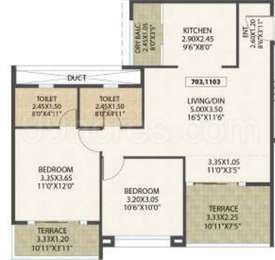 The area of 3 BHK apartments ranges from 561.0 sqft to 1160.0 sqft. What is the total area of Kolte Patil Western Avenue?The project spans across 16.0 Acres. Kolte Patil Development is part of a large conglomerate, which enjoys a significant market presence and is known for the real estate projects developed in high taste. The group endeavors to enhance lives by creating great places to live and work. Headed by a team of skilled professionals and highly experienced leaders, the group has built multiple projects, including integrated townships, IT Parks, commercial, retail and residential. : honesty, innovation, teamwork, excellence, customer satisfaction, affordability.It is further known for its timely delivery and has successfully delivered residential and commercial properties in cities like Delhi, Pune, Bangalore and more. Kolte-Patil is listed in NSE and BSE and one of the largest builders and has completed 1.3 crore sq. ft. of landmark developments in big cities such as Pune and Bangalore. The question arises will the EMI's on home increase, due to the GST? Too many construction going in all the nearby areas but to choose the correct one that fulfil all your requirement can be tough decision. We at Key2Home are the consultant and can help you select the correct property and also will try to get you some discounts. Please contact us. please send me the rates of 2bhk appartments on my email id @.